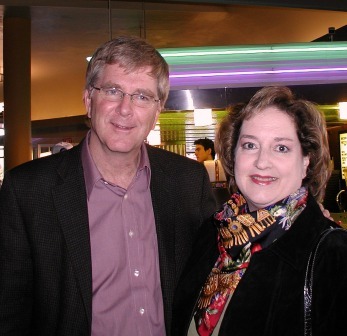 Several weeks ago, I had the pleasure of hearing Rick Steves deliver a presentation on “Travel as a Political Act” as a fundraiser for Twin Cities Public Television. Rick is an icon in the world of European travel advice. He shared with us his insight from years of travel, and challenged us to travel with an open mind, and not be dumbed down by a narrow world view. Rick is a great storyteller, and has that gift for drawing the audience in, spinning a great tale, weaving anecdotes with education, and opening our eyes to other cultures. You can download the presentation as a series of podcasts from iTunes. 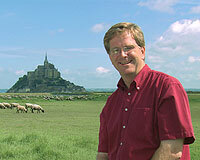 Just search for Rick Steves Lecture Series. You can also watch the lecture here on Rick’s You Tube channel. And now Rick has just released a book which fleshes out the theme of his presentation and provides background that has shaped his political views. Seeing how smart people overseas come up with fresh new solutions to the same old problems makes me more humble, open to creative solutions, and ready to question traditional ways of thinking. We understand how our worldview is both shaped and limited by our family, friends, media and cultural environment. We become more able to respectfully coexist with people with different “norms” and values. One of the greatest rewards of travel comes from the people you encounter – especially if you’re open to letting them show off a bit and impress you with their culture. Stow your preconceptions, and relish the opportunity to meet and learn from local experts, whether it’s cheese makers, or owners of a 5th generation family vineyard. Take history seriously, and don’t be dumbed down. I believe now that if more Americans had a history degree and put it to good use, this world would be better off. Those with a knowledge of history can understand current events in a broader context and respond to them more thoughtfully. My travels have taught me to have a healthy skepticism toward those who peddle fear. And in so many cases I’ve learned the flip side of fear is understanding. Thirteen thousand people die in the U.S. every year from hand guns. But we’ve deemed that’s an acceptable trade-off for enjoying our Second Amendment rights. Europeans (who suffer less than 25% of the per capita gun killings we do) laugh out loud when they hear Americans are staying home for safety reasons. Every time I’m stuck in a long security line at an airport, I reflect on one of the most concerting results of terrorism: the very people who would benefit most from international travel – those who needlessly fear people and places they don’t understand – decide to stay home. 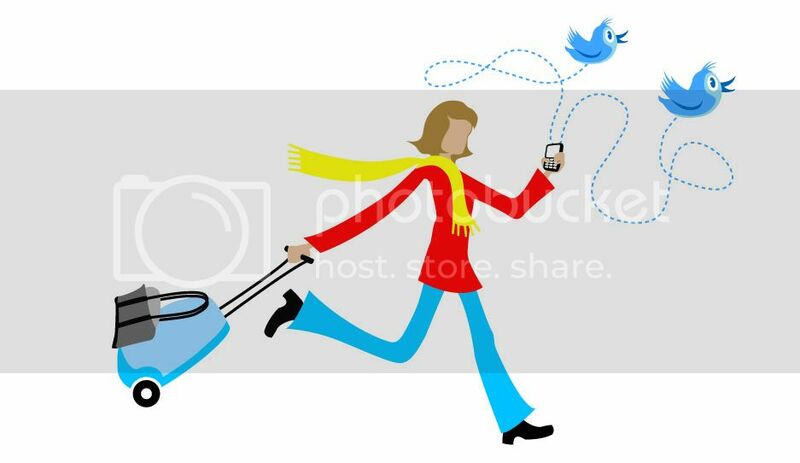 I believe the most powerful things individual Americans can do to fight terrorism are to travel a lot, learn about the world, come home with a new perspective, and then work to help our country fit more comfortably and less fearfully into this planet. I encourage you to check out the book or Lecture Series for Rick’s though-provoking ideas. And as Rick says: Keep Traveling! This entry was posted in Travel Smart and tagged Europe Through the Back Door, Europe travel, Rick Steves, travel, Travel as a Political Act on December 28, 2009 by enchantedtraveler. 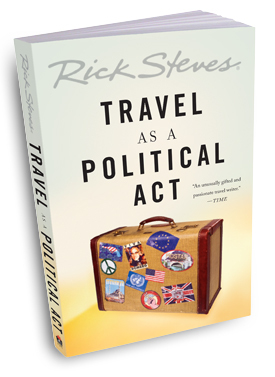 I’m headed to Minneapolis tomorrow to hear European travel expert Rick Steves deliver a speech on “Travel as a Political Act”, sponsored by Twin Cities Public Television. 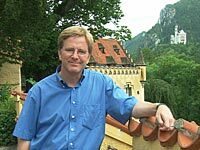 As the undisputed expert on travel to Europe, Rick spends 4 months every year traveling and working throughout Europe, recording episodes for TV series, and updating his travel guidebooks. Spending one third of his adult life living out of a suitcase in Europe has shaped Rick’s thinking. Today he employs 80 people at his Europe Through the Back Door headquarters in Edmonds where he produces 30 guidebooks on European travel, the most popular travel series in America on public television, a weekly hour-long national public radio show, and a weekly column syndicated by the Chicago Tribune. Rick’s website is a treasure trove of trip planning and advice. You can also download his free audio walking tours for many top sights from iTunes. I’m so excited for the chance to see Rick again, and I’m bringing my two children with me to hear some of Rick’s wit, wisdom, and insight. I’ll provide updates after the speech! Rick’s presentation is Sunday, Dec. 6 at 4:00pm at the Riverview Theater. Tickets are $30 at the door (if any tickets remain), and benefit Twin Cities Public Television. This entry was posted in France and tagged Edmonds, Europe, Europe Through the Back Door, Rick Steves, travel, Travel as a Political Act, Twin Cities Public Television on December 5, 2009 by enchantedtraveler. This entry was posted in Uncategorized and tagged Mark Twain, travel on September 13, 2008 by enchantedtraveler.